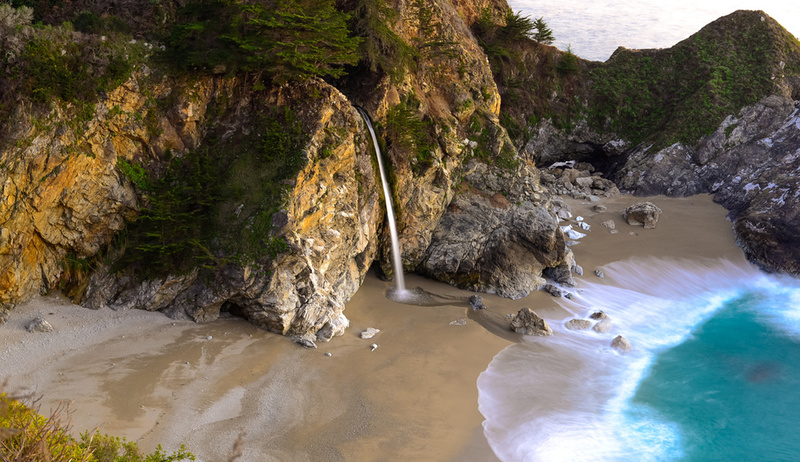 McWay Waterfall Trail in Big Sur, CA is a sight not to miss when traveling along. This short yet sweet trail ends with the 80 foot falls cascading onto the sandy shore. For years the waterfall poured directly into the ocean until a massive fire, landslide and highway reconstruction project near the area in 1983-84 filled the cove with enough material to form a sandy beach several dozen feet out. Sean Sweeny captured the McWay Falls with this 5 second exposure using a Nikon D600 and 24-700mm lens at ISO 50 and F11.